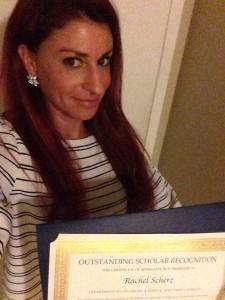 I was born and raised in New York City into a family of social service professionals. I spent 15 years in the youth and family services field working towards progress in the industries of housing & homelessness, drug and alcohol treatment, domestic violence, and foster care. As I have a deep passion for youth mental health, I eventually followed my heart into the schools to work in support of small children, building their life skills and social emotional learning competencies. My current role as a school counselor within a district dedicated to the advancement of research puts me in a unique position to experiment with best practices, test ideas, and produce data to demonstrate what truly works for kids. Considering the significant relationship between feelings and learning, practitioners and researchers agree that support for emotion regulation occupies a valuable place in the classroom. In an attempt to support students and teachers at an elementary school, an action research project was designed to enhance student’s emotion regulation strategy development. This collaborative action research study explored the impact of emotion regulation interventions for third grade students in a K-5 school in Southern California, including implementation of classroom “Regulation Stations.” This project is useful in its demonstration of the relevance of emotion management to school success for elementary age children. It can aid in the improvement of practice by highlighting the nonacademic skills that are necessary for learning and by reinforcing the importance of incorporating psycho-educational strategies around emotional self-regulation within general academic curricula. In the Zone: Emotion Regulation in the Classroom was conducted with the entire third grade at an elementary school located in Southern California. This K-5 school is an award winning, flagship No Excuses University Network member, known for its high standards and college preparatory culture. I launched this research project while working as an intern in this school as a fulfillment of my capstone research requirement. I was inspired by the significant amount of highest-need children in the third grade who were struggling to manage strong feelings in the classroom. These children were overwhelmed by trauma and emotional lability, and consequently were unable to focus on learning. In an attempt to support their exhausted teachers and increase student coping skills, this action research was conducted to determine the effectiveness of an intervention focused on helping students increase emotional self-control. Negative emotion reduces capacity for memory, elaborate processing, categorization, and resources for attention (Koole, 2009). Students who regulate their emotions are more successful at learning tasks (Ganz, 2008). Children taught self-management techniques were better able to exert control over their behavior and remain engaged with their learning environments (Melnick & Hinshaw, 2000) and were more capable of fulfilling academic demands (Lipsett, 2011).Emotion regulation predicts short and long term academic success (from preschool through college) even after accounting for children’s intelligence, parent education level, ethnicity, gender, and other demographic factors (De La Riva & Ryan, 2015). There is growing evidence that interventions targeting emotion regulation are impactful, having positive and long lasting effects on children’s well-being and their academic achievement (Schmitt, McClelland, Tominey, & Acock, 2015). It is evident from the literature that building strong early self-regulation habits lays the foundation for success in both school and work settings, rendering it essential learning for all students. The purpose of this action research was to fill a service gap at an elementary school. In a previous effort to support teachers and students, the school site had implemented the Second Step program. Though the school experienced success with this curriculum, they believed it to be insufficient in the area of emotion management. Therefore, the study was undertaken in order to support the high numbers of third-grade students identified by the school as in need of increased coping skills and tools for emotional control. In addition, this study attempted to maximize the impact and benefit of emotion regulation interventions to the entire third-grade population at the school. The outcome of the project will be utilized to explore the use of a new curriculum, the Zones of Regulation. In the Zone: Emotion Regulation in the Classroom was a two-cycle collaborative action research project. Guidance lessons were delivered to three third-grade classrooms: “Iowa,”, “Temple,” and “Texas.” There were 77 participants for Cycle 1, including 33 girls and 44 boys. For Cycle 2, which took the form of individual counseling, there were ten participants, including 5 girls and 5 boys. Cycle 1 was designed as a universal intervention and provided to all students in the third grade. Using an adaptation of the Zones of Regulation curriculum (Kuypers , 2011), three guidance lessons were developed utilizing the core concepts of four zones and three primary feelings per zone. The lessons were delivered in the form of a 30-minute game + lesson to all three third-grade classrooms. 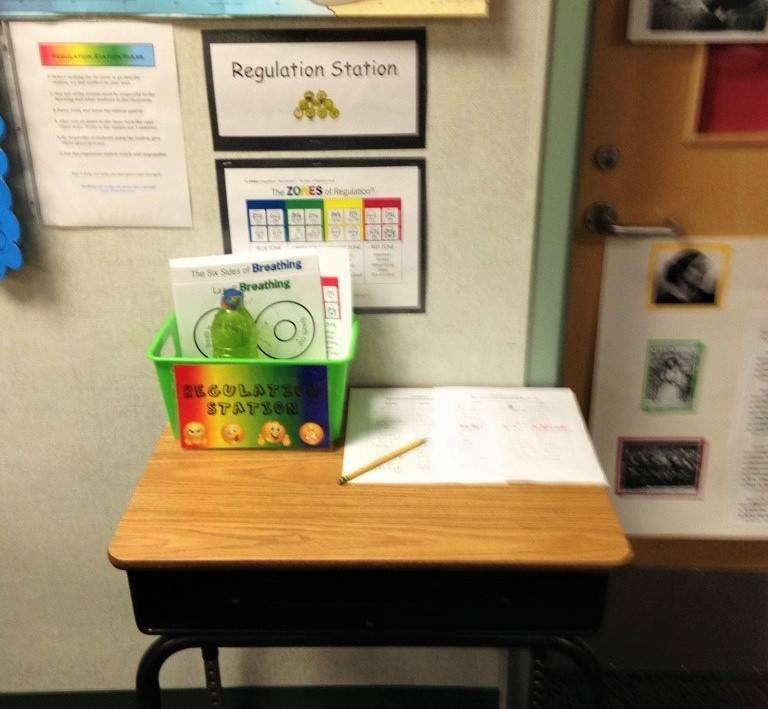 Following this was the implementation of regulation stations in three classrooms. Placed in the station was a bucket of 5 play therapy inspired tools, each paired with a particular feeling. After the feelings and zones concepts were taught, the final lesson incorporated training and role plays on the proper use of the tools and the station. Cycle 2 was designed as an intensive, individualized intervention. This phase of the project was delivered solely to the third-grade students with the greatest need in the area of emotion regulation. Ten students received emotion regulation sessions once a week for four weeks. Each of these children was provided a tailored emotion regulation plan to manage his/her most unmanageable feeling. A combination of quantitative and qualitative data were collected, including a student self-survey, teacher evaluation with both open-ended questions and rating scales, teacher assigned emotional regulation scores, and student self-scores. For Cycle 1, a 10-item “Third Grade Self-Survey” was developed by the collaborative action research team (the intern plus the three third-grade teachers) including questions such as “I find it easy to calm down strong feelings,” and distributed before and after the Cycle 1 intervention. Teacher rating scales included level of usefulness and level of disruptiveness, and teacher questions included items such as “Have you noticed any impact of the lessons or station on the emotional and/or learning behavior of any of your students?” In addition, regulation station sign-in sheets, classroom debriefing session notes, and ongoing collaborative action research team communication were collected. Cycle 2 emotional regulation scores asked teachers to rate student’s ability to manage feelings in the classroom on a scale of 1 to 100 and students to rate their ability to move out of the blue, yellow, or red zone and return to the green zone on a scale of 1 to 10. Descriptive coding was used to analyze the qualitative data. Both descriptive and inferential statistics were used to analyze the quantitative data, including measures of central tendency, repeated measures analysis of variance, and t-test for a dependent sample. Repeated measures analyses of variance were performed for Cycle 1 data with class as a between-subject independent variable (3 groups: Texas, Iowa, and Temple) and time as a within-subject variable (measured two times: pre and post). In brief, no interaction effect between class and time was found in all items, p > .90. Differences between pre- and post-ratings were not statistically significant, although post scores showed a pattern of decrease in negative emotion after the Cycle 1 intervention, p = .25. The class difference was statistically and practically significant, F(2, 67) = 8.44, p = .001, η2 = .20 (a large effect size). When classes were compared with each other, “Texas” class showed higher means (low self-control) than Iowa, p < .0005, and Temple, p = .02. There was no difference between the Iowa and Temple classes, p = .65. In an analysis of the qualitative Cycle 1 data, 3 major themes were revealed: Calm, Success Stories, and Appropriate vs. Inappropriate Use. Included in the Calm classification were an abundance of responses about students using the regulation stations to calm down emotions that interfered with their ability to learn and focus. Success Stories included narratives of effective use of the regulation stations and emotion management experiences by individuals who had previously been unable to regulate. Appropriate vs. Inappropriate Use incorporated many stories of instances when the rules of the regulation stations were not followed. For Cycle 2 data, a t-test for a dependent sample was performed for teacher pre-ratings and post-ratings on emotion regulation by ten students selected as participants in Cycle 2. The difference between the pre- and post-ratings by teachers were statistically and practically significant, t(7) = 4.49, p = .003, with a very large effect size, η2 = .91. Teachers rated higher after Cycle 2 intervention (M = 79.38, SD = 18.79) than before the intervention (M = 53.75, SD = 27.22). Although the t-test result for student self-ratings showed statistical significance, p < .0005, with their post ratings (M = 8.40, SD = 1.05) having been increased much from the pre-rating (M = 3.40, SD = 1.05), this result may not be trusted as the relation between pre- and post-ratings were not significant, r = .03. This may indicate that students’ self-ratings were not reliable. Overall, these findings indicate that the delivery of individualized emotion regulation support utilizing Zones of Regulation concepts as well as implementation of classroom Regulation Stations was helpful in increasing third-grade students’ ability to regulate emotions in the classroom. As action research is about creating change, In the Zone: Emotion Regulation in the Classroom fulfilled this criterion in its impact on not only the three participating classrooms but the entire school. At the conclusion of the project, the participating elementary school decided to implement both the adapted Zones of Regulation lessons as well as the Regulation Stations at every grade level. De La Riva, S., & Ryan, T. (2015). Effect of self-regulating behavior on young children’s academic success. International Journal Of Early Childhood Special Education, 7(1), 69-96. Ganz, J. B. (2008). Self-Monitoring across age and ability levels: Teaching students to implement their own positive behavioral interventions. Preventing School Failure, 53(1), 39-48. Koole, S. (2009). The psychology of emotion regulation: An integrative review. Psychology Press, 23(1), 4-41. Kuypers, L. M., (2011). The zones of regulation: A curriculum designed to foster self-regulation and emotional control. Santa Clara, CA: Think Social Publishing. Lipsett, A. (2011). Supporting emotional regulation in elementary school: Brain-based strategies and classroom interventions to promote self-regulation. Learning Landscape, 5(1), 157-175. Melnick, S. M., & Hinshaw, S. P. (2000). Emotion regulation and parenting in AD/HD and comparison boys: linkages with social behaviors and peer preferences. Journal Of Abnormal Child Psychology, 28(1), 73-86. Schmitt, S. A., McClelland, M. M., Tominey, S. L., & Acock, A. C. (2015). Strengthening school readiness for head start children: Evaluation of a self-regulation intervention. Early Childhood Research Quarterly, 30(A), 20-31.